Summer is probably the most preferred season as it's a great time to enjoy the beach and patios with friends and family. We indulge in delicious foods and drinks while enjoying fun late nights. Summer is just so awesome and we feel great! As we get ready for the cold weather, it is important to be aware of how we are feeling and the changes in our bodies. As fall is arriving and the Harvest Full Moon is upon us, it is a great time to renew some of those needed grounding rituals after an ubiquitous summer. Just like the changes in the weather, notice any imbalances going on in your body and mind. Emotions and mood swings might vary. Sleeping patterns and digestive systems may also be changing as our bodies also change and have different needs just like the seasons. Intuitively we are being guided by Pachamama (Mother Nature). 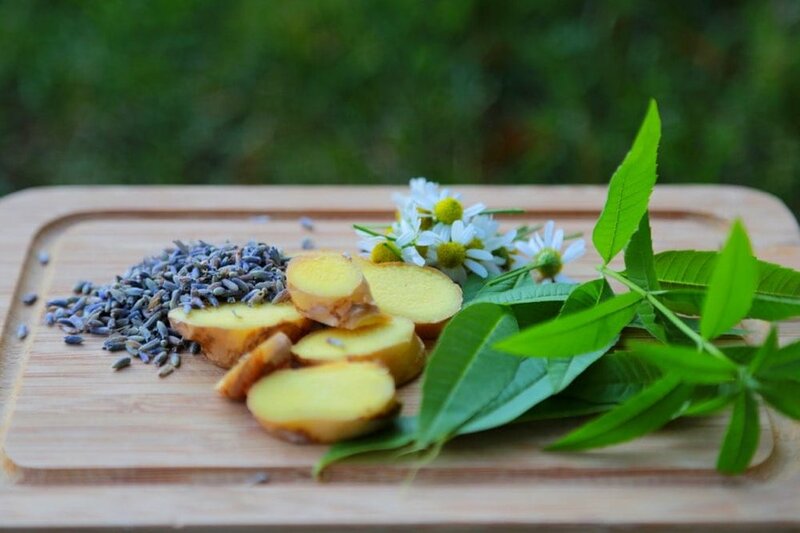 Along with your Full Moon Meditation and some needed self-care time, I invite you to take some time to make yourself some beautiful grounding teas. My relationship with herbs and plants began as a teenager during a trip I took to my family’s ancestral land where I learned the connection of the Cocoa plant from my family and ancestors. Ever since that time, I have had this beautiful connection with plants. My friends and family have usually been the ones enjoying my homemade salves, tinctures, and teas. Finally, I wanted to share my two favourite grounding teas with you all. Inviting those gentle grounding and healing properties of the herbs and plants that go into your tea can heighten your yoga, meditation or self-care experience. A tea in one hand and your intention to ground in the other, will guide you towards connection and balance as we enter this time of shift. So here you are two of my favourite teas that pair nicely during this upcoming Harvest Full Moon. a coffee grinder, mini food processor or I prefer a mortar and pestle. Put all ingredients in your mortar and pestle. Give it a few gentle pounds to release flavours and awaken healing properties. Put in your tea strainer and pour hot water. Let sit for 3-4 min before serving and enjoy. Lavender- Helps you relax and aids sleep. For those needing some grounding from the mind chatter this beautiful flower is great for that. Chamomile- Helps with gastrointestinal issues and muscle tension. Great for children as well. Lemon balm- My favourite of them all! Helps with the cleanse and recharge of your digestive system. It has antioxidant properties as well. Put all ingredients except fennel seeds in your mortar and pestle (I prefer not to crush fennel seeds because it can over power the other lovely ingredients) . Give it a more active crushing to release flavours and awaken healing properties. Make sure that the cardamom and rose hips crack open. Put in your tea strainer and pour hot water. Let sit for 3-4 min before serving and enjoy. Cardamom- Helps with the releasing of anything that does not serve you. Cloves- Aids in the recalibration of energy. Rose Hips- contains lots of Vitamin C to help prevent those fall sniffles. There you have it. Two healing and grounding teas for this Harvest Full Moon. Acknowledge your shift in energy and any changes in your body. Remember that every shift, if you let it, will always bring you to a different place in balance. Take this time to re calibrate and ground. Mother earth is here to heal and is guiding these shifts for your growth. Finally, sip that tea and enjoy. As an educator in the community and education system for more than 16 years, she has witnessed the increasing need for youth to find connection, self awareness and empowerment. She has a specialized background in working with children and teens, dealing with mental health issues, learning and behavioural challenges. 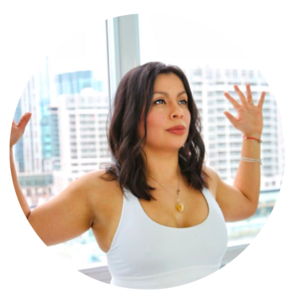 Mireya has led workshops to support mindfulness, creativity, emotional intelligence, self- awareness and self-advocacy. As a mom of a highly spirited son, she has put to practice many of the tools she shares with others. She has seen how a mindful lifestyle has influenced so many children including her own become more confident, better at self-regulation and able to communicate their needs. Newer PostCacao, A Rainforest Powerhouse!